NEW YORK--(BUSINESS WIRE)--CIT Bank, N.A., the principal bank subsidiary of CIT Group Inc. (NYSE: CIT) cit.com, a leading provider of commercial lending and leasing services, today announced that Dorene Dominguez has been named to its Board of Directors effective immediately. Ms. Dominguez is the Chairman of the Vanir Group of Companies headquartered in Sacramento, California. Through Vanir Development Company, Inc., Vanir Construction Management, Inc. and Vanir Energy, LLC, the Vanir companies have successfully completed over $10 billion in real estate developments, design-build lease, and construction services. In 2004, Ms. Dominguez founded The Vanir Foundation in Memory of H. Frank Dominguez, a public non-profit 501(c)3. The Foundation partners with elementary schools in selected Vanir service areas to bring innovative programs to children in underserved communities. An active member of various community improvement projects, boards and commissions, Ms. Dominguez currently serves as a Member and former Chair of the Advisory Council of the Institute for Latino Studies at the University of Notre Dame, a member of the Advisory Council of the Lusk Center for Real Estate at the University of Southern California, and on the Board of PRIDE Industries. 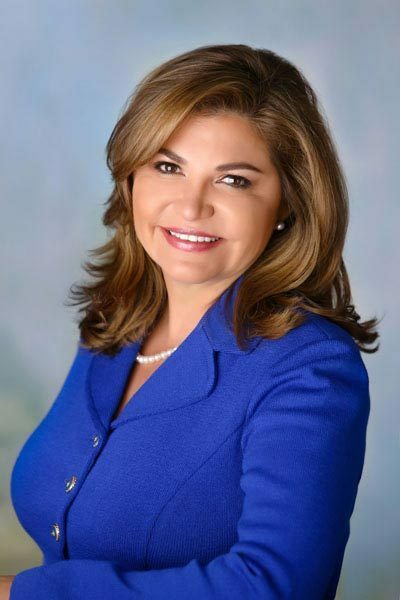 Additionally, she is a member of the World Presidents Organization, and has previously served on the board of directors for the National Council of La Raza, the Society of Hispanic Professional Engineers (“HOPE”), and over 10 years with New America Alliance. Ms. Dominguez was a member of the American River Bank Board of Directors and has held public service appointments on the Los Angeles Planning Commission, the California State Board of Geology and Geophysics, and the California State Medical Board. Ms. Dominguez is the first Latina to hold an ownership interest in an NBA team, the Sacramento Kings. Ms. Dominguez graduated from the University of Notre Dame with a Bachelor's degree in Business Finance. She earned a Certificate in Corporate Governance from the Center for Business and Government, John F. Kennedy School of Government, Harvard University.